Clips from our family videos. Family 1-6 are our old VHS videos from the early 80s. Others to come later. 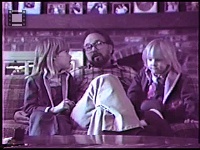 Our first videos from 1980, when there were no solid state cameras and we used an 80-foot cord between the camera and the VHS VCR.